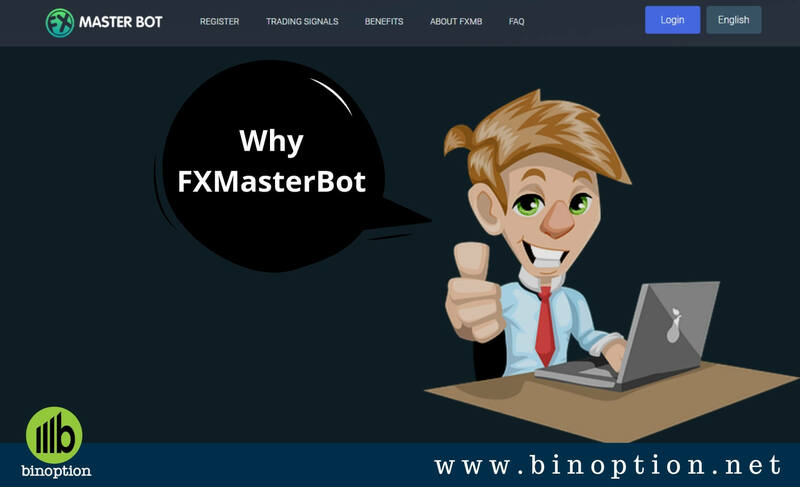 FXMasterBot Review – Trusted Forex Robot: FXMaster Bot is a free WEB-based trading software powering a user-friendly trading platform for both Cryptocurrency and Forex currency pairs in 13 European languages. They started their journey in December 2017. The platform is independent. This automated trading software was developed by a team, who has an experience of over 20 years in the financial markets. To use FXMasterBot on mobile devices and desktop computers, traders don’t need to download apps or software. The ‘robot’ software collects financial market data and sends signals that are recommendations to trade, directly to the dashboard of the trading platform. 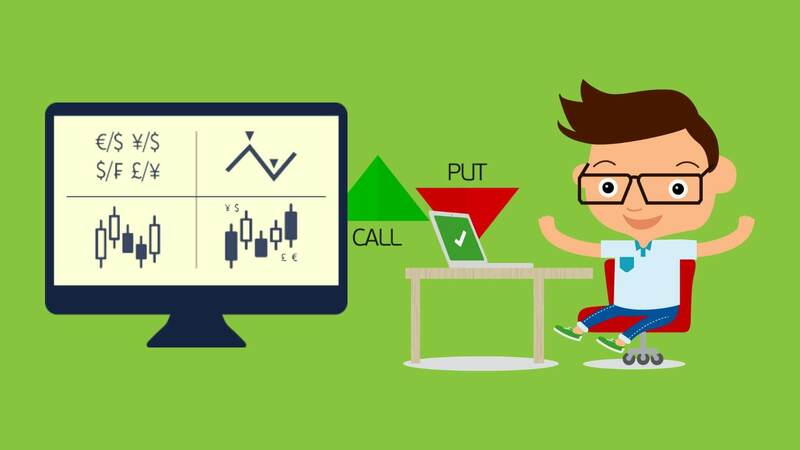 Traders can decide whether to implement the signals, automatically or manually, on the trading platform available only to FXMaster Bot clients. 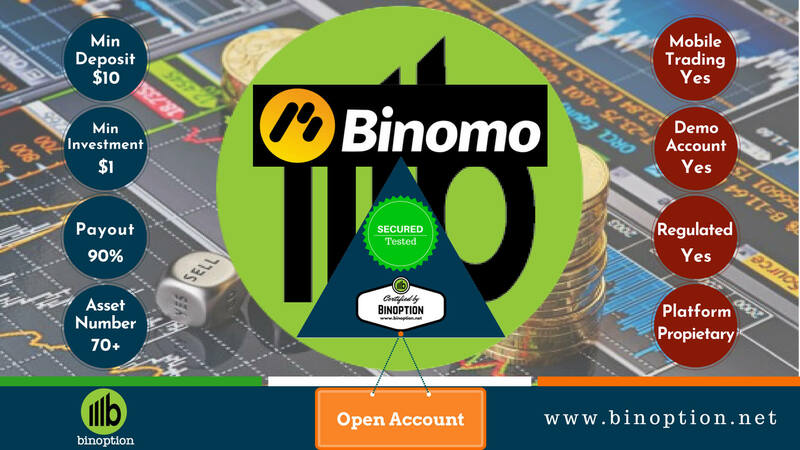 But to know more about this automated trading robot and why we recommend it as safe and secure, you can read the full review below. 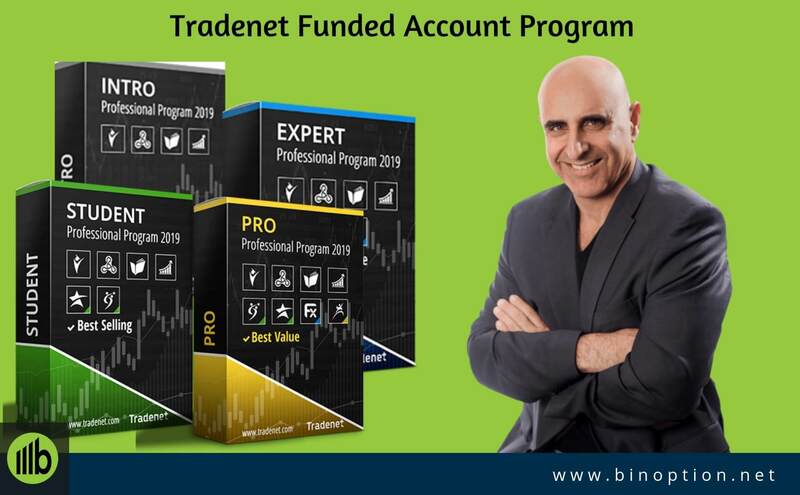 The ‘brainchild’ of several experienced Forex traders, this trading software provides a progressive trading experience from the ‘newbie’ level right up to the trading pro. 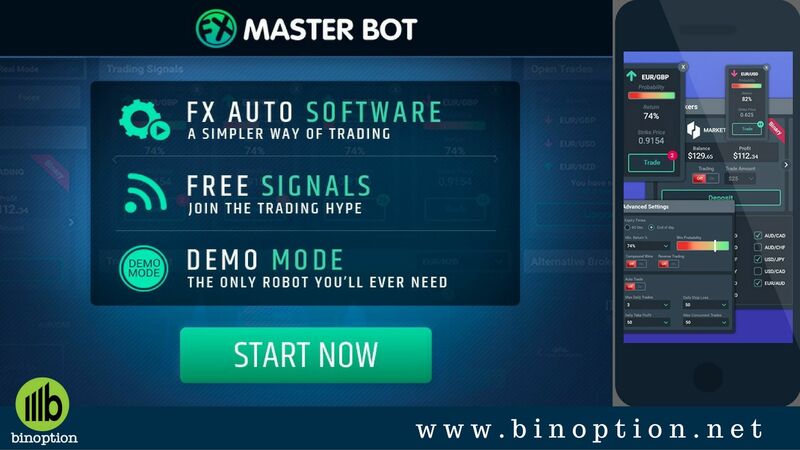 The evolving nature of the software sets the FXMasterBot apart from other Forex trading Robots reviewed by us. 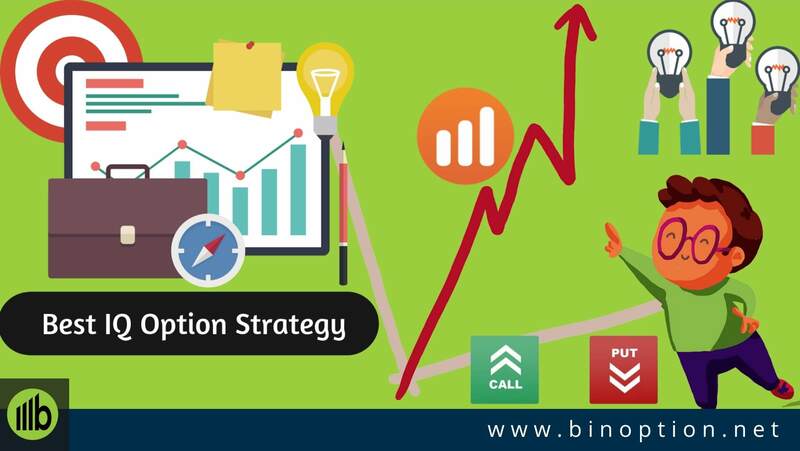 Trading strategies are very unique. It provides more features, more options and more opportunities for traders. The outstanding feature of this robot is that it’s not provided through a single broker. 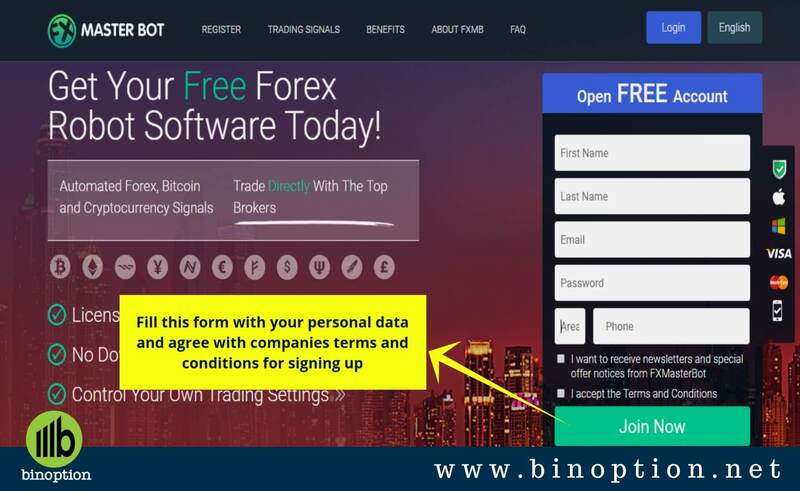 In fact, it is an independent, free software giving customers who register a trading account on its website, a choice of 10+ brokers to deposit with. A key point to remember is that the brokers are a ‘mixed bag’ of licensed Forex or Cryptocurrency brokers and unlicensed brokers. And it’s left up to the customers to decide which broker suits their individual requirements. Recently, they have upgraded their software to be more in line with recent regulations that ensure traders protection. 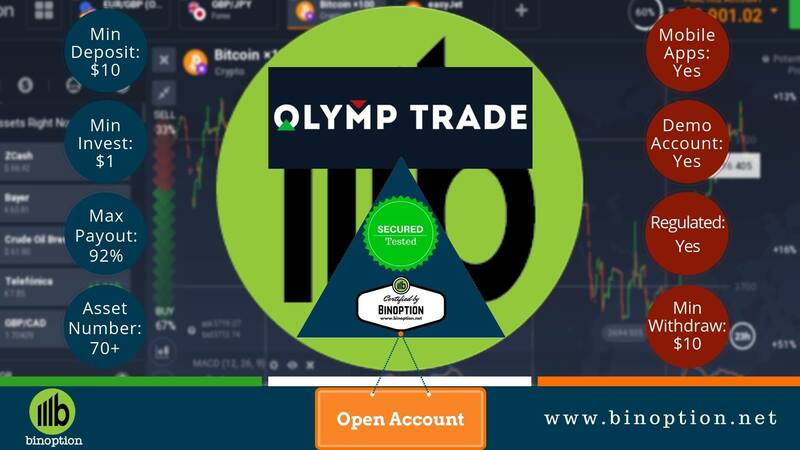 Demo account is suitable for all types of traders to know the trading platform more precisely. After opening a demo account, the trader gets a minimum amount of virtual money which will not bring a real profit for you. However, it will give you a priceless experience. 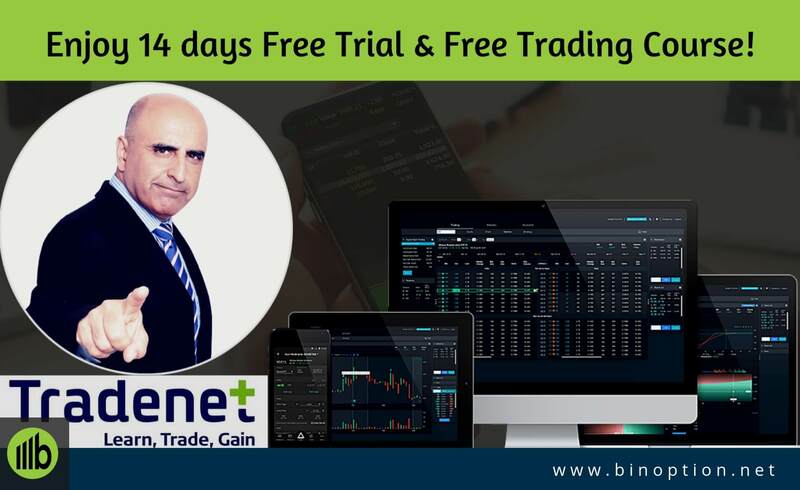 This signal platform previously offered a FREE demo account for five days with simulated trades on their authentic trading platform. Currently, FXMasterBot does not offer a demo account for its traders. However, Some of their brokers offer a demo account. You will need to deposit to access their automated trading signals, but you can always contact your broker on whether they can make a demo account available for you or not. Opening an account is easy and hassle-free. You can open a FREE account with this trading software. Click on the ‘Website’ to start your registration process. You will find a registration form mentioning “Open FREE Account”, enter your first name, last name, phone number, email address, and password. They will automatically connect you with the selected broke. Click on the checkbox that asks you to confirm that you want to receive the newsletter and special offer notices along with the terms and conditions. Re-check all your information and then click on the “JOIN NOW” button. After completing the account creation, a minimum deposited amount is needed to run your trading. 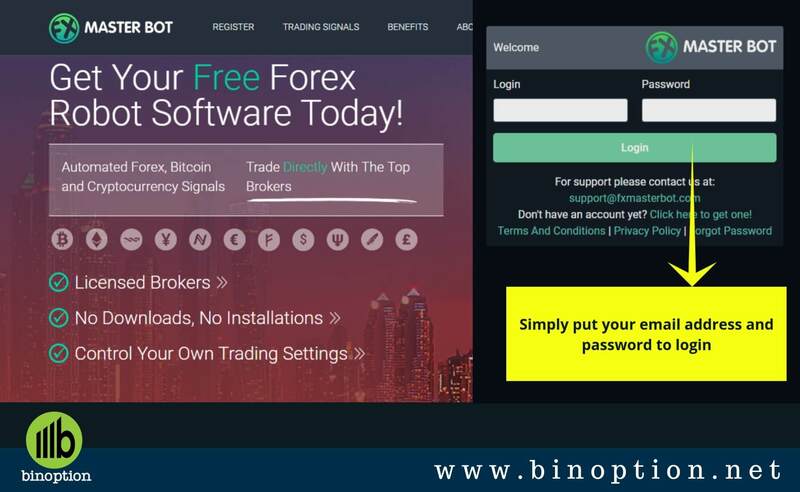 If you already have an account with this trading software then you will simply click on the “Login” button. To log in into your account, just use your email address and password. After login into the platform, you will see a compatible broker’s list. The broker will vary country to country. Integrating with your current broker is not possible. So, you have to choose brokers from their list. Traders don’t need to create a new email and password for each and every broker. You can Log in with multiple brokers at the same time but to perform trade you have to choose one broker. You can switch from one broker to another broker for trading. FXMasterBot does not offer any trading account types for their traders. The trading account types depends on the brokers. 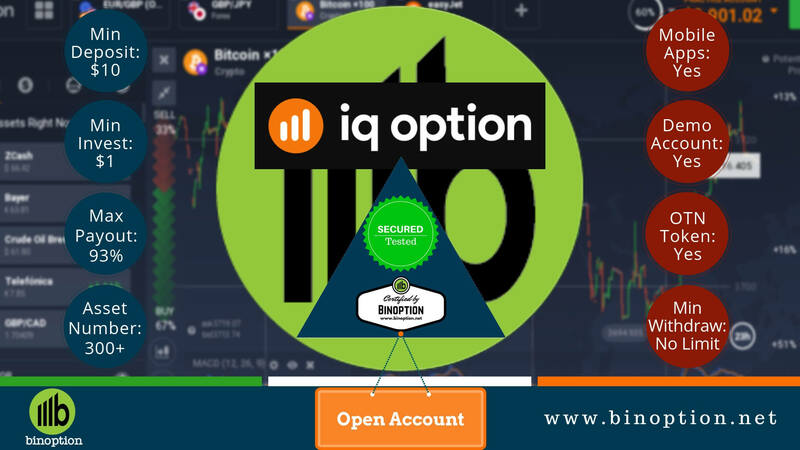 Each broker has their own account types for customers with varying degrees of trading experience, where each account operates with specific parameters. After signing up, a broker’s account in your name will be automatically created. You can also trade with multiple brokers and switch between brokers as you like for optimum experience. Traders need to activate the trading robot by depositing $250. Depositing with a broker will permit this platform to place a trade on behalf of you. A free trading signal will help you to analyze the trading market. All tools and instruments provided by the robot are for managing and optimizing the placement of your trades. You have to set these trading features that will be the best for you. Note that, this software offers manual trading with automatically generated signals. Of course, customers registering with FXMasterBot can decide for themselves at what level they want to begin. Importantly, there’s no obligation to start at the lowest level and work up. If you are a novice trader, then start trading with just the simplest assets. As a registered trader at FXMasterBot you can count on customer support during trading hours whatever your account type. Live chat is available directly on the interface of the trading platform. Besides this when the agents are absent you are asked to leave a message, so they can send an email with a response to your query when they return. Their customer support is always active for traders. 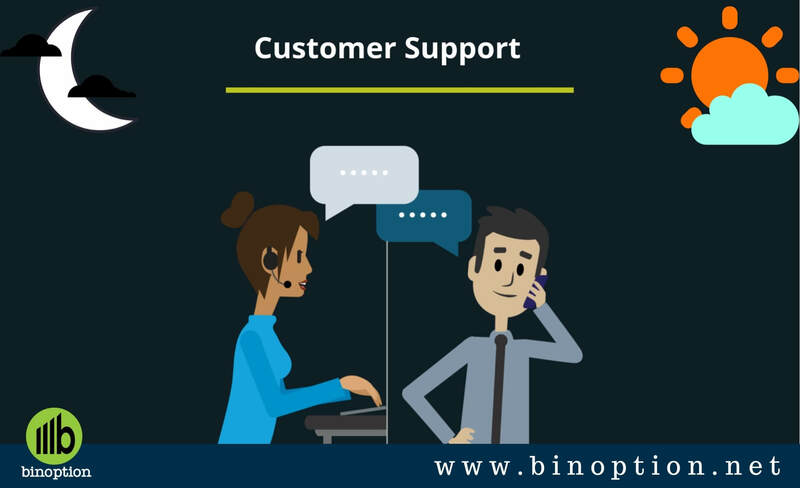 The support team is reliable and happy to answer all your questions. Except for the live chat, you can also reach them through Email [email protected]. We were not able to access the details of payment methods offered to customers. Multiple brokers are partnering with the free software provider. Payment methods depend on each broker. Brokers handle all the user’s funds. It only provides the software. However, their saying is that all payment methods are 100% secure, irrespective of the broker selected and it gives a few examples of the payment methods traders can expect to find when they sign up. These include the credit cards Visa, Mastercard, American Express and Discover as well as the globally renowned digital payment provider PayPal. 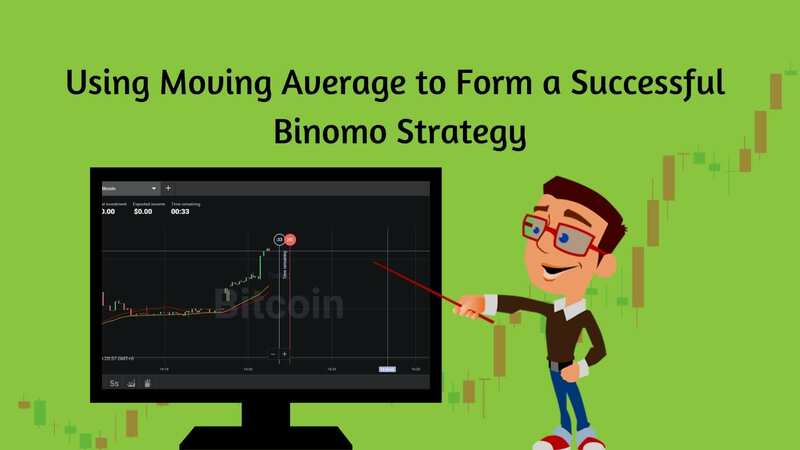 They designed their automated trading platform for the real forex and crypto traders. The trading robot earned its popularity as the best automated-trading software in 2018. 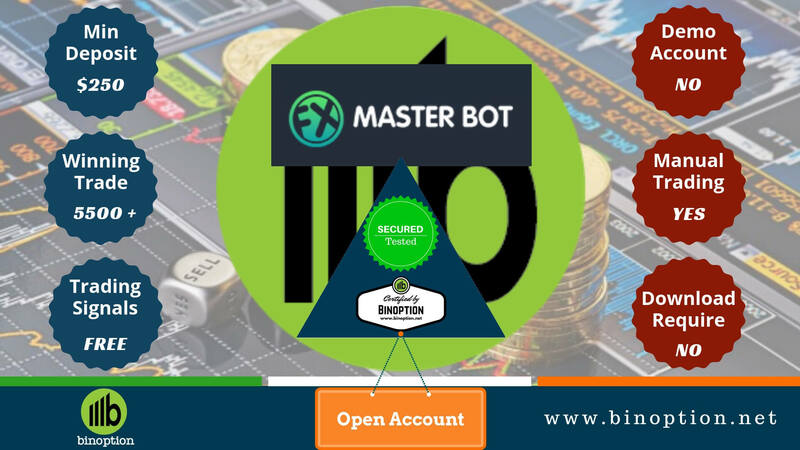 Traders will find numerous positive reviews about FXMasterBot after they upgraded their service to make it safer for traders. Comparing with other forex and crypto robots, there are a few things you will notice that makes this robot platform unique. Do not take our word for it; you can see by yourself. 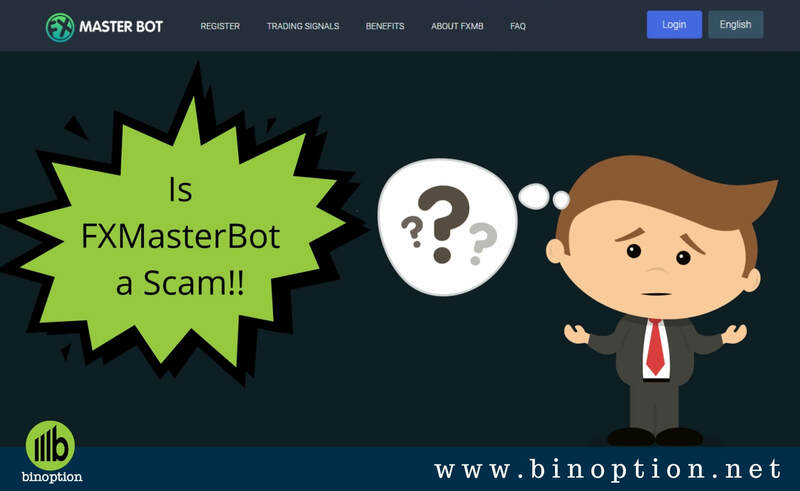 So traders, after reading our FXMasterBot Review, hopefully, you already understand why this Forex Robot is reliable, especially for beginners. It has helped Thousands of Men and Women become masters in the trading field. 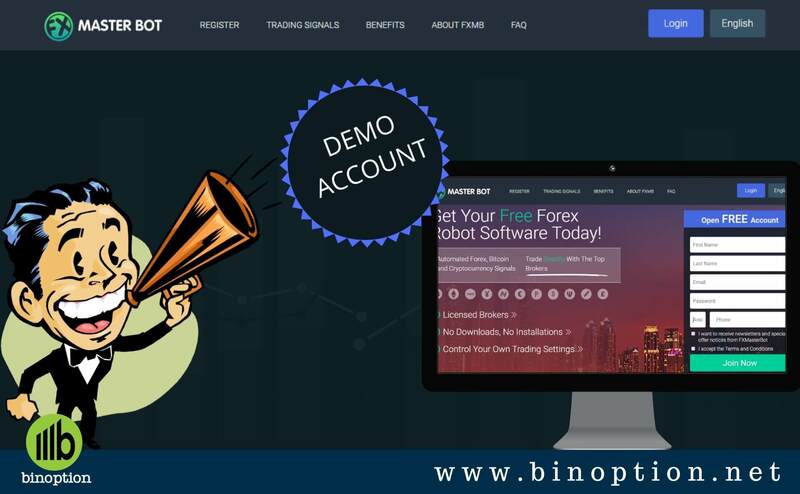 Those who are seeking for trusted Forex robot as their trading partner can try this signal generating platform.